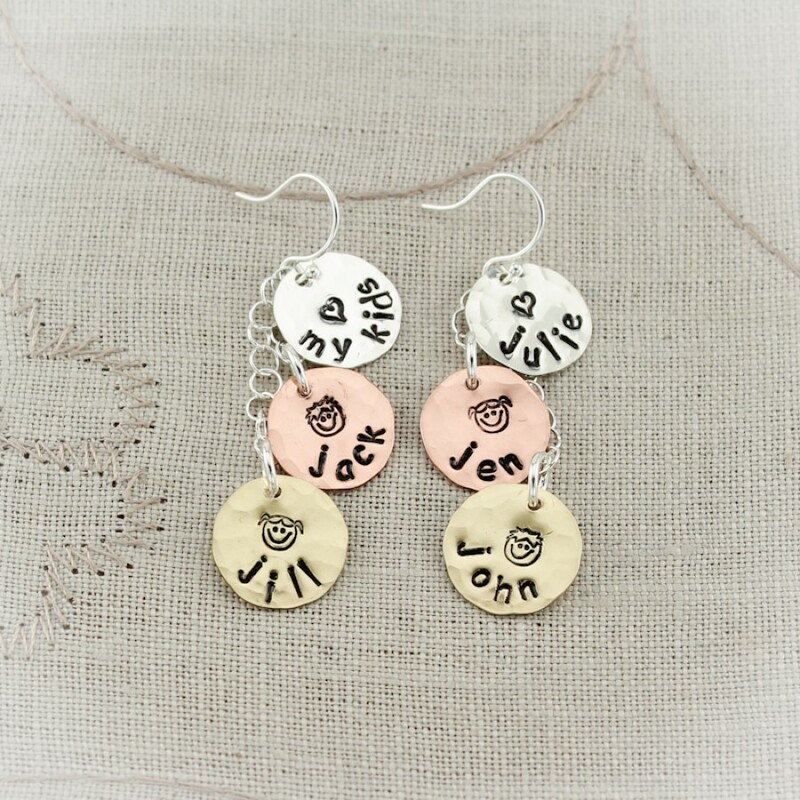 A unique gift for mom or grandma, this is a totally original design. Each disc is personalized with each of your children or grandchildren. 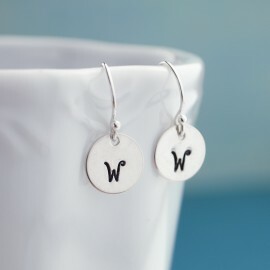 A design stamp can be stamped above the name for even more personalization. Uneven amount of children? Stamp the extra disc with "my kids" or a heart design. 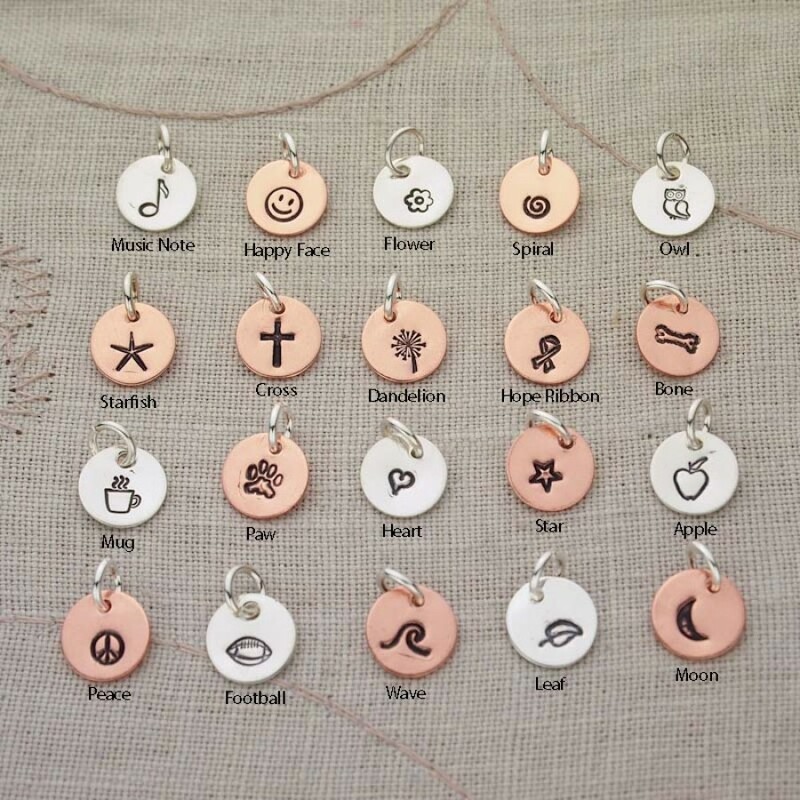 Earrings can be ordered with 2, 4 or 6 discs (total). Price shown is for 2 discs (1 each ear). 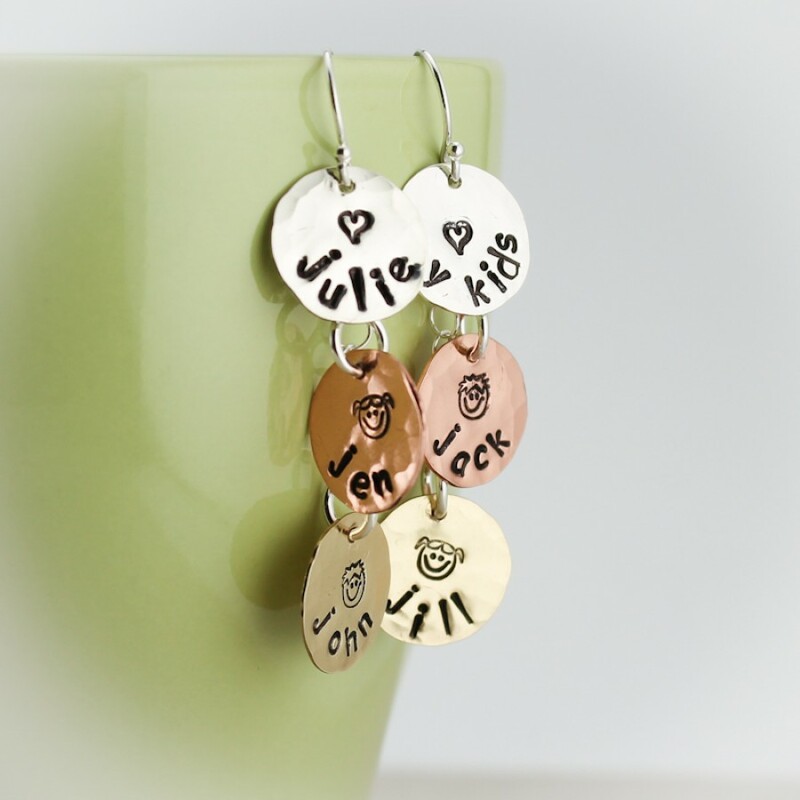 If you want the earrings as shown, order the copper, brass, silver (3 on each side combination).